If you are planning on a long weekend here in Myrtle Beach this fall at the Bay View Resort, not only do you have the best location in town being just off the Myrtle Beach Boardwalk, but undeniably the some of the best rates while still enjoying the great weather along with many things to do and see. 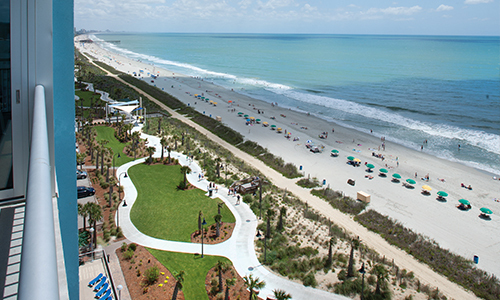 With the warm ocean waters and fewer crowds than the summer months, fall is actually one of the best times to visit Myrtle Beach. No more long restaurant waits, crowded attractions and some mornings, you might find the Boardwalk and beach all to yourself. Discover all of the great things to do this Labor Day weekend here at Bay View Resort in Myrtle Beach with the great fall deals, fall events, and celebrations all weekend. Barefoot Landing – Saturday, September 1st at 10:00 p.m.
Plyler Park – Saturday, September 1st at 10:00 p.m.
Broadway at the Beach – Sunday, September 2nd at 10:00 p.m. The Market Common Farmers Market where locals and visitors alike survey and procure tasty treats, farm fresh local produce, and homemade crafts. Occurring every Saturday at 10 a.m.- 3 p.m. and will be wrapping up Labor Day Weekend. Make plans today and enjoy how you celebrate your end of summer party here at Bay View Resort in Myrtle Beach.